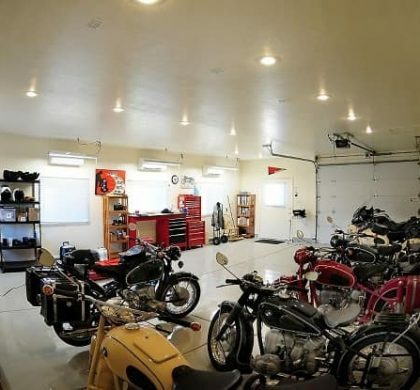 Cars these days have become more of a “must have” asset, than a requirement in people’s everyday lives. What was considered a luxury less than a decade back has become a necessity within such short time! Design and performance are the most important aspects people look for in cars. High competition and access to any information online have lead car manufacturers to keep researching and releasing new models and versions of cars. With information from across the world available at one’s fingertips over the internet, people are well aware of the latest models of cars being launched across the world by various car manufacturers. High Competition has led various companies to launch better models frequently and for each model or version the new launch takes place after a particular interval of time. Since the released advertisements are viewed by people all around the world through the internet, making car advertisements has become a highly creative and competitive affair in itself. Car advertisements need to be innovative and attractive and at the same time cannot mislead the customers. Technical excellence and creativity along with endorsements by famous personalities who become brand ambassadors are instrumental in making car commercials popular among audiences. Over a couple of decades many creative and beautiful car commercials have been launched across the world. There are many car related companies giving away hefty awards to the Best Car Commercial every year. Let us analyze the 15 best car commercials which were released within the last 12 years. This advertisement for Genesis Coupe emphasizes on the speed and mileage of the car. Their catch phrase was “It’ll get your pulse going” visualizing what can actually happen, when racy cars set your heart a-flutter. The ‘Feels Good Inside’ commercial released in 2012 features an adorable cat being taken out for a ride on a Toyota Corolla. The cat falls in love with the car and gets itself into various accidents so that it can be taken to hospital in the car. Finally after one accident the cat dies and is cremated. However, such is the heavenly allure of this car that it raises its paw through the mud (to be taken away in the car again). It’s a very audience appealing commercial which makes people fall in love with the car. This commercial called ‘Decision’ features stars Michael Schumacher and Nico Rosberg. The Benz models featured in this video are the new CLS 2011 and the E-Class 2011 which has captured a husband taking his very pregnant wife to a hospital for delivery when their car breaks down. Their car is parked on the roadside when they ask for help and as it appears, stars Michael Schumacher and Nico Rosberg who happen to be passing by stop their car. Now the couple fights over whom to go with. They completely forget about their emergency when they see the stars and their cars! Wouldn’t it be cool – Released in 2010, Nissan boasts about its advanced features like keyless entry, mobile control, step, turbo speed, auto clean air conditioner etc. The commercial lures the user with the cool features mentioned in the car and ends the note saying one can have a Nissan instead (which has these options). This commercial has a very retro feel to it with a father and son on a Skoda. The dialogues appear written in dialogue boxes. It highlights the adaptive front light system in Skoda. This commercial released in 2007 is a hilarious one with a couple fighting to get the car to themselves. Swift being Maruti Suzuki’s most popular car, this commercial showcases the comfort, speed and safety features that all become a part of driving a Swift, in a way that leaves the viewers feeling light hearted, with a comedy angle to the otherwise technical commercial . This Audi commercial is a small but smart one that just shows how quickly an Audi can be parked in the most difficult parking spaces. It is a reply to an old Lexus advertisement which showcases its auto-park feature and it says that it’s a luxury car for people who can park themselves. This advertisement released in 2006 beats all other car commercials that came prior to it. They show key-rings with other competitor logos and 4 such rings together form the logo of Audi. The catch-line was Comfort, Design, Safety, Sportiness all in one car – Audi. This commercial was released in the UK in 2006. It starts with a voiceover saying ‘This is what a Honda feels like’ and then a group of people replicate the sounds of an engine starting, vehicle running, bumps & tunnels crossed in the background while the visuals of the same are shown. It is one of the most artfully done videos with the sound ending when the car glass is rolled up. This advertisement released in 2011 is about a kid trying to be Darth Vader. He tries to use his Force with everything around him but fails. Finally he uses his Force on the car and then his father presses the auto-start on the remote key of the Volkswagen Passat and it starts taking the kid by surprise. The background music and the kid’s mask add charm to the commercial. This is an award winning car commercial. Released in 2003 this commercial still features in the top 5 Best Car Commercials list released worldwide. This is a very interesting commercial wherein every minute event like, the wind blowing, small pebbles falling etc. triggers a series of connected events. It was taken in single shot after about 600 re-takes to get the series of events right. The commercial shows how accurately Honda plans their vehicle and the minute details they take care of while designing their vehicles. This is a stylish commercial that shows how to steal a necklace in 10 steps with BMW i8’s advanced features and ultimately emphasize upon the style, convenience, infotainment and safety. Mercedes Benz pays tribute to Air Bags in this thoughtful and thought provoking commercial. Invisible – This commercial was launched last year to showcase their eco-friendly zero-emission cars. Benz came up with a car which used LED display all over its body, live cameras and display screens on either side to reflect what is there on the other side making the car virtually ‘invisible’. 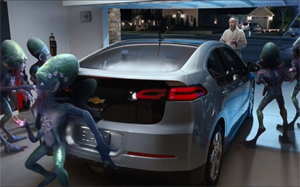 They used this commercial to emphasize the prime feature of the car: zero-emission, making it invisible to the environment.